So I signed up for a week of Blue Apron. If you know me at all, this may seem out of character. 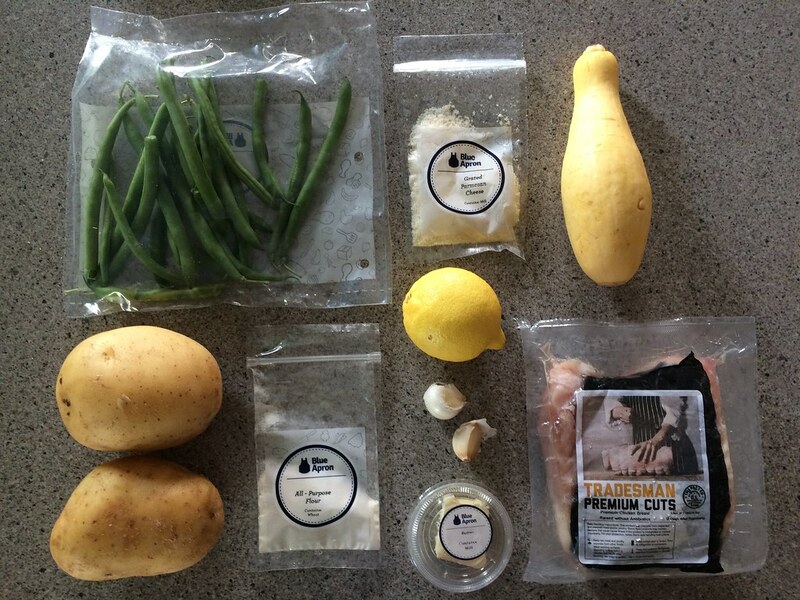 In fact, I was staunchly anti-Blue Apron for a while (for me personally, not for other people). 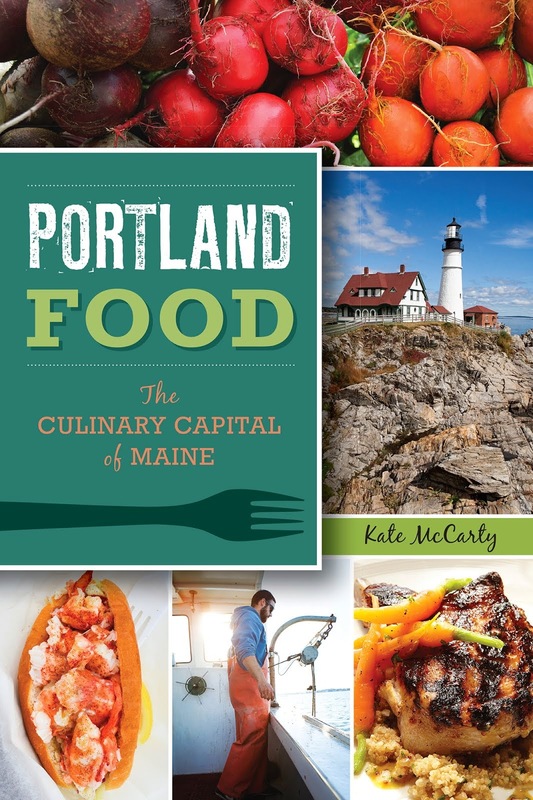 I know how to cook—I even enjoy it—and it's important to me to support my local farmers. 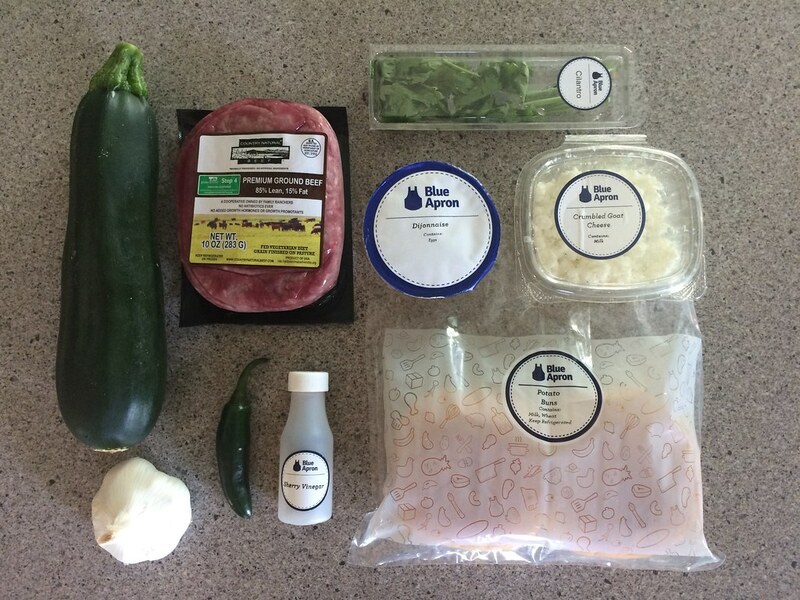 Blue Apron brings pre-portioned ingredients from across the country to the inexperienced home cook, complete with step-by-step instructions for making a meal. It's hard to say why I tried it then; I just received a flyer in the mail and signed up for a week on a whim. Mostly, I was curious, the price was right (the first week is half off), and I thought it'd be fun. 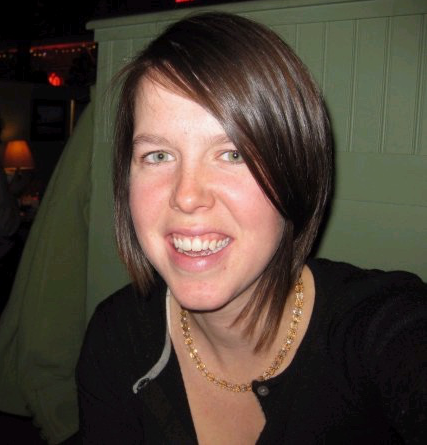 First, the online portion: I signed up for three meals for two people, which is regularly $60. I could preview my menu, switch out meals, and change which proteins I wanted. There's plenty of wiggle room for skipping weeks and changing which day of the week your delivery arrives on. I did make sure that the 3 days after my delivery were free so I could cook at home, concerned that if we waited to long to prepare a meal, the ingredients would spoil or deteriorate. My delivery arrived a day early, which confused me, but wasn't a problem. I came home one hot day to find a huge box on my stoop. Fortunately, the box contained an insulated foil-lined bag and large ice packs, so the food wasn't in any danger of spoiling. I unpacked my ingredients; in the top of the bag was the produce and non-refrigerated items for three meals. Below a cardboard divider was three portions of meat and seafood, sandwiched between two large ice packs. Full size, color instructions accompany each meal—the front of the card featuring a picture of your finished meal and the back containing step-by-step instructions for prepping and cooking the ingredients. 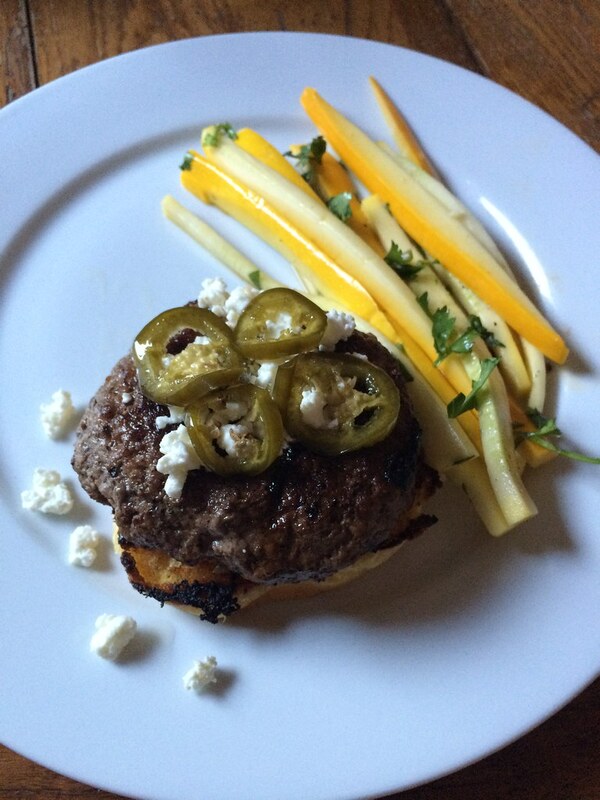 First up was Serrano Pepper and Goat Cheese Burgers with a Zucchini-Cilantro Slaw. As you can see, each ingredient is perfectly portioned, which is very convenient, but of course creates tons of waste. While much of the packaging is recyclable or compostable (but some of it is not in the Portland area), it's obviously better to reduce waste in the first place than it is to rely on recycling. While I was tempted to jazz up this meal a little bit, I stuck with the original prep, so as to be able to accurately judge the final meal. And it was tasty! The slaw wasn't my favorite—just raw zucchini sliced up, marinated in sherry vinegar, and sprinkled with chopped cilantro. It was good, but rather plain. The burgers, while unseasoned, were also good, topped with crumbled goat cheese, Dijonnaise, and sliced peppers, briefly marinated in agave syrup. (Note, I did swap out a yellow zucchini from my CSA and some candied jalapenos in for the serranos, since the agave nectar broke during shipping). I noticed after cooking all three meals that Blue Apron's signature move seems to be incorporating the fond leftover after pan frying. In the burger recipe, I was instructed to heat my buns in the burger fond and both the chicken and the shrimp pasta recipes used the fond in the pan sauces. 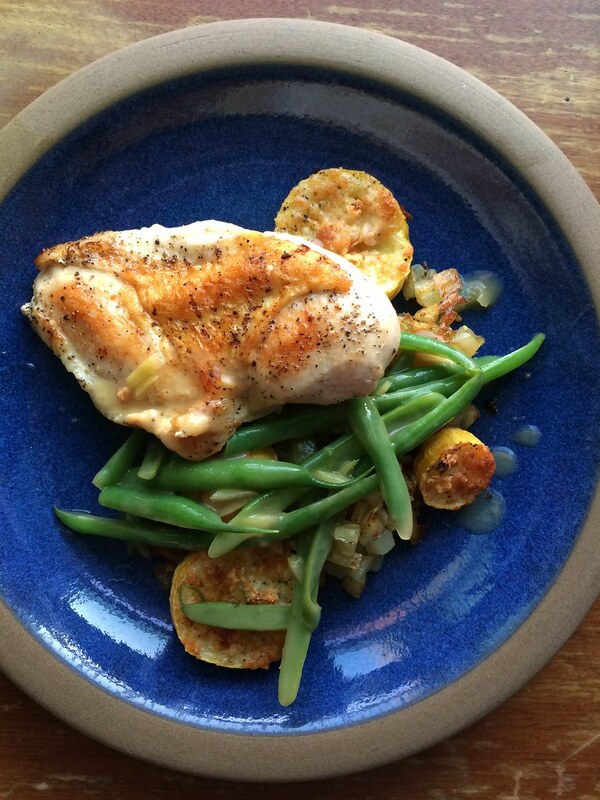 Next up, Lemon Chicken and Green Beans with Parmesan-Roasted Summer Squash and Potatoes. For this recipe, I cooked chicken breasts on the stove top, then created a pan sauce with lemon juice, butter, and flour. I lightly blanched the green beans and tossed them in the pan sauce, while rounds of the summer squash topped with parmesan roasted in the oven alongside cubed Yukon potatoes. This recipe would probably rate as an intermediate one for a beginner cook; there were a lot of steps, multiple techniques, and used more pots and pans than the burger recipe. I'm definitely going to incorporate topping anything roasted with parmesan cheese in the future, and the pan sauce, while a little heavy for a hot summer night, was certainly delicious paired with the chicken and green beans. 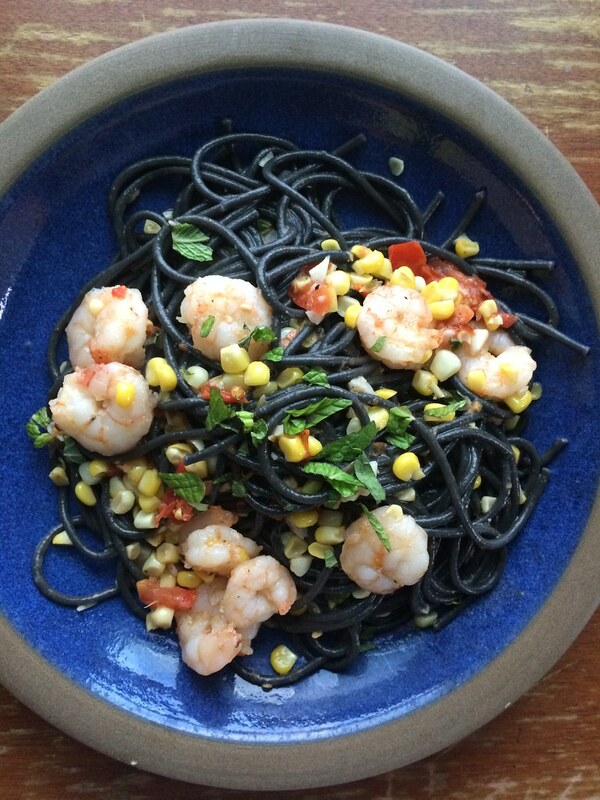 Lastly, I had Shrimp and Squid Ink Spaghetti with Summer Vegetables and Mint. This dish was my favorite, since it brought me a recipe I wouldn't have thought up on my own. I froze the shrimp when I first received the food, and then transferred the shrimp from the freezer to the fridge to thaw the day I planned to cook this meal. This one was as simple to prepare as the burgers. The shrimp was briefly grilled in a pan, then removed, then the chopped tomato, corn, and garlic went in. Butter and reserved pasta water made the sauce, then I added the shrimp back in. I cooked the sauce for a few minutes to thicken it, then added the cooked pasta and chopped mint. All in all, I enjoyed my week of Blue Apron, but don't regret canceling my subscription. The service is great for people who don't want to meal plan or shop and have their evenings free to cook at home. The recipes I prepared are pretty accessible for beginner cooks, and the pre-portioned ingredients helps to reduce food waste (although the benefits of that are probably negated by the excess packaging required). Blue Apron conflicted with my CSA subscription though, since I still needed to use up my week's worth of local produce. I need more like an "everything but the vegetables" meal delivery service. 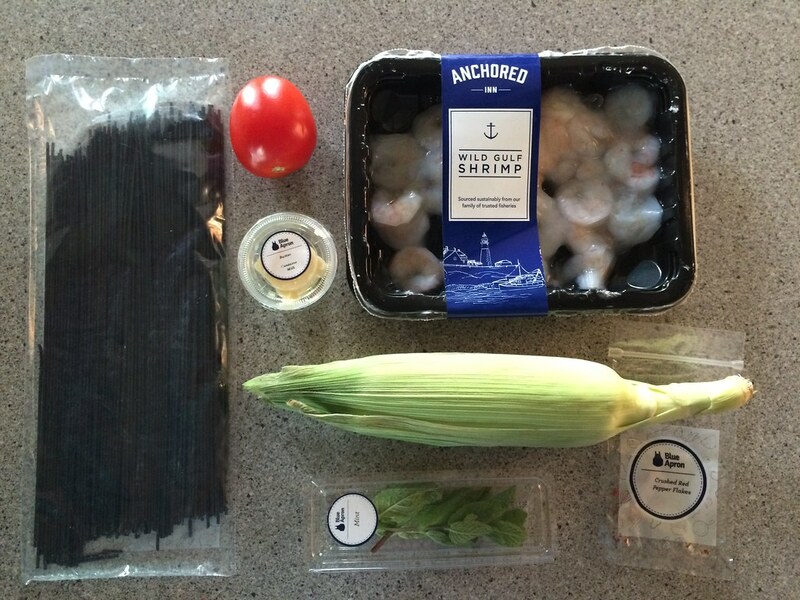 I also think Blue Apron would be better in the winter, when local produce isn't as abundant. 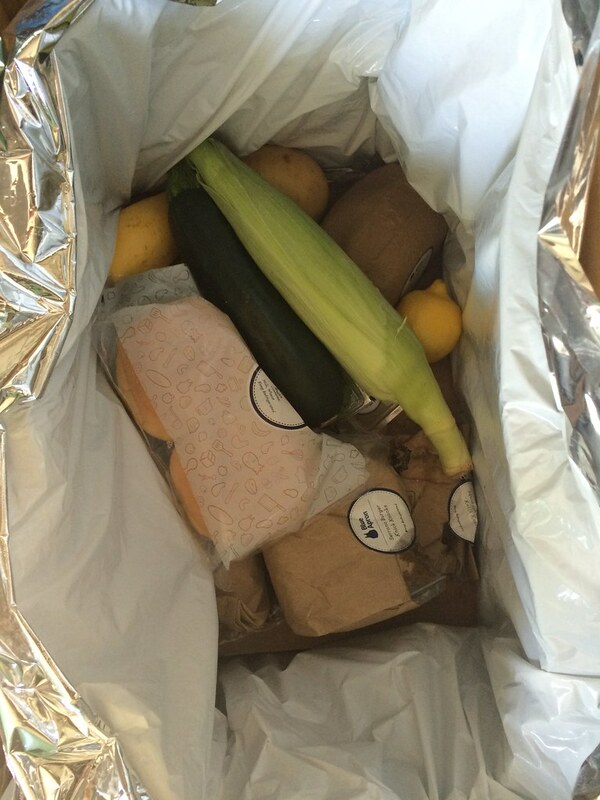 Coincidentally, during my week of Blue Apron, I discovered that Local Market in Brunswick offers farm box/meal kits. Each box comes with local produce and meat for a meal that feeds 2 people. It costs $30, a little bit more than Blue Apron, but is great for one night when you can't handle meal planning. I wish Portland's Rosemont Market, the Portland Food Co-op, or The Farm Stand in South Portland would do the same thing (hint, hint!). Perhaps as these meal delivery subscription services become more popular, we'll see more local models too.